To the right of the front door is bedroom three, containing a queen bed and sharing a Jack and Jill bathroom with bedroom four. Bedroom four located to the right and rear of the seating area has two twin beds and a TV. The lucky guests staying in both bedroom one and three are able to enjoy beautiful ocean views right from bed! A washer and dryer are also conveniently located on this level. Continuing through the French doors and up the stairs to the main level, you will enter a large open living space with vaulted ceilings, ocean views and deck access. To your right is a large kitchen with ample counter space and bar seating for four. Directly in front of the kitchen, with ocean views, is a huge dining table seating 10. To the left of the stairs is the living area boasting two cozy couches and two arm chairs positioned around a decorative fireplace and a flat screen TV. Behind the living area is the master bedroom with a king bed, TV and access to a full bathroom. This bathroom also shares access with the hallway. Outside, on the upper-level covered deck, you will find multiple seating options. There are rockers, chaise lounge chairs and even a small table and chairs for enjoying a light alfresco meal. Both the upper and the lower decks face the ocean and have unobstructed views. Just down the front steps and across the street is the beach access. This house is tastefully decorated, giving a feeling of being right at home yet still having a vibe of relaxing “Island Spirits!" Quality home across from beach! "We were impressed with how nicely laid out this home was for our family. The 4 bedrooms on the 1st level were well sized and decorated nicely. The open den area in the center of the rooms was a nice bonus area that got utilized often. The upper level was very spacious with an open floorplan and fully stocked kitchen. Lots of plates, glasses, silverware, pots/ pans, etc that made our daily cooking so much easier. The oversized dining table was perfect for a large family. The furnishing throughout the home were very tasteful and made our stay even more enjoyable. The home has unobstructed views of the ocean and is a short walk diagonally across the street to the beach access. The upper deck is great to sit on to watch the sun come up and the rear porch was used to watch the sunset. We were very pleased with how convenient and accommodating this home made our family vacation. Would highly recommend staying here! Note - the queen mattresses were very firm, although good quality. So if you prefer a plusher sleep surface, you might want to consider putting a blanket/ cushion or a foam topper under fitted sheet." Perfect home for a family vacation! "Our family likes to vacation together each year. We begin planning and trying to decide where we would like to go, and then we begin the search for a place that will meet our needs. We found that in this property, Island Spirits. When we arrived and walked inside, we knew this would be a great place, and it was just that. We had six adults and two kids. This home was very spacious, had plenty of seating for everyone in the living area, dining area, and on the wonderful covered porch. We enjoyed a lot of time outside in the rockers. The view was awesome as well. The beach was about a minute walk. The kitchen was well stocked with everything needed to prepare meals. It has many other qualities that make this home a great place to unwind and enjoy time with family. We have already placed this property on hold for 2017. 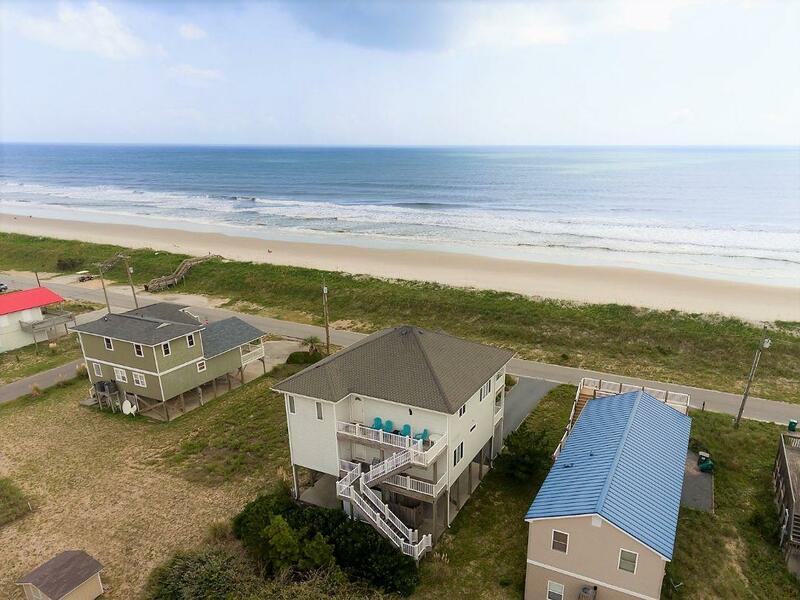 Already looking forward to another week on Topsail Island!"